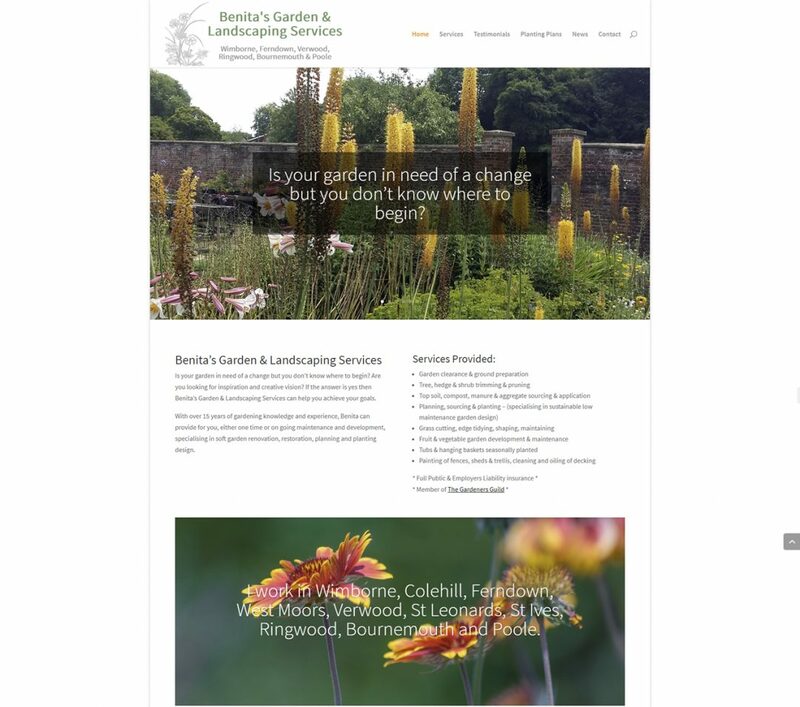 Benita has been maintaining, restoring, planning and planting gardens for private households in Ferndown, Colehill, Wimborne, West Moors, St Leonards, Ringwood, Ashley Heath, Corfe Mullen, parts of Bournemouth and Poole since 1999. She had a site which was built with web company Yola’s content management system, but functionality was fairly limited. Benita now has a new, content management website, much of which she updates herself. M35 Web Design provides Benita with web hosting, domain name management; also help with some updates to her site.